In February 2016 I posted a spreadsheet with examples of linking to the Python Matplotlib library with xlwings. Since then updates to xlwings required some changes to the python code, specifically plot.show has been replaced with pictures.add. See linking to the Python Matplotlib library for more details. The code in the post has now also been updated. 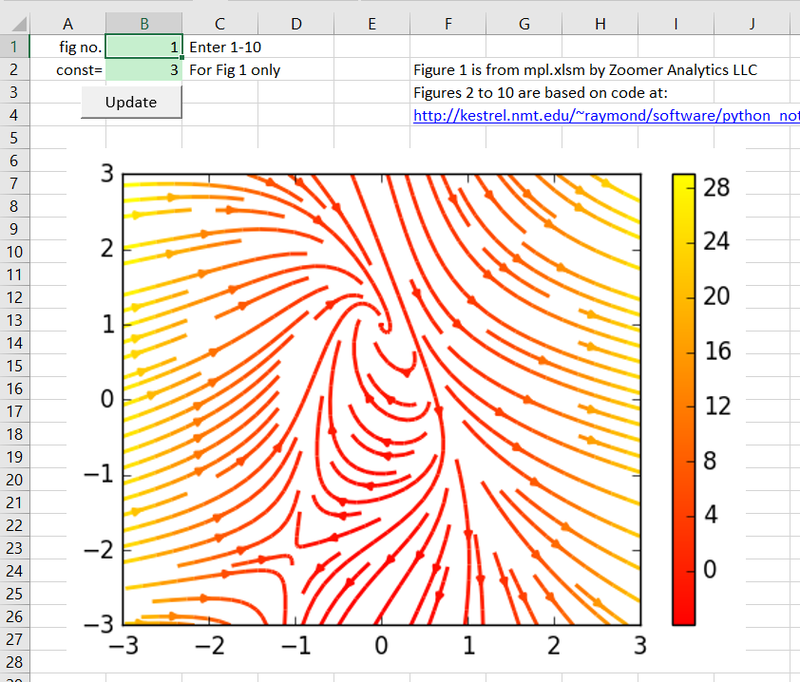 This entry was posted in Charts, Charts, Excel, Link to Python, Newton, NumPy and SciPy, VBA and tagged Excel, MatPlotlib, Python, update, VBA, xlMatPlot, xlwings, xlwScipy. Bookmark the permalink.